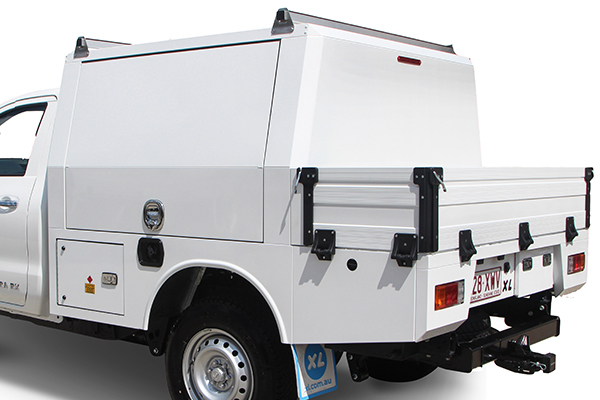 Equipped with large dual lift up doors and an optional rear door to provide immediate access. The C-Body grants an all angle approach to a purpose built open plan interior, maximising accessibility. Providing storage for unconventional items that struggle for space in other models. 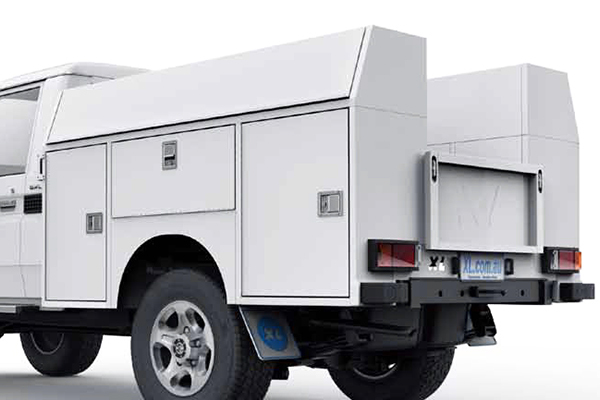 Equipped with large dual lift up doors and a quick access tray at the rear to provide immediate access. The X-Body grants an all-angle approach to a purpose-built open plan interior, maximising accessibility. Providing storage for unconventional items that struggle for space in other models. The A-Body provides an abundant storage area for tools and consumables that are stored in easily adjustable internal shelving. A one-piece, all steel body with four or six weather-tight side cabinets, two upper storage compartments and an open central utility area. The Z-Body provides an abundant storage area for tools and consumables that are stored in easily adjustable internal shelving. 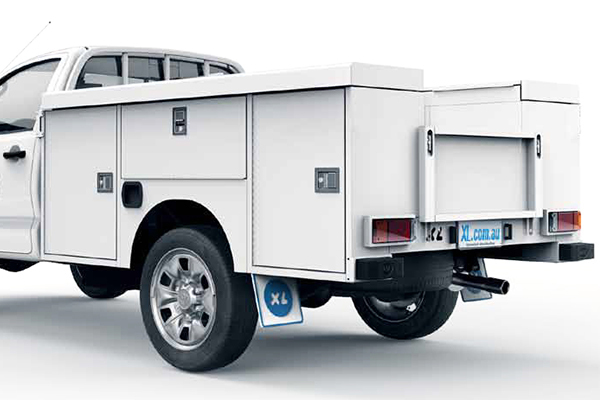 The largest storage capacity in the XL Service Body range. 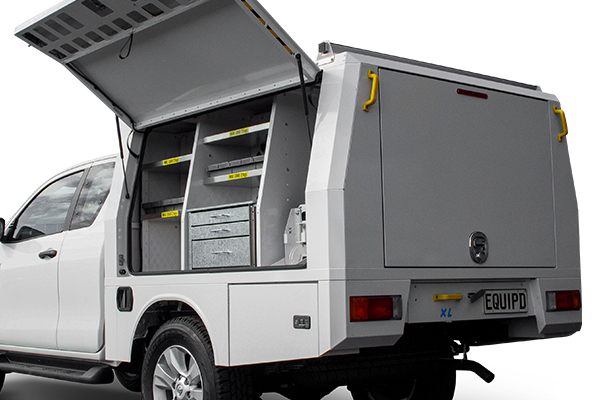 The Z-Body’s long horizontal compartments are an ideal storage solution for bulky components.